Over the past few days, thousands of people have visited my blog and posted questions or comments. Some of the great questions and comments I have received are from twitter: @zigsports. All of the comments are appreciated. Every comment provides me with a learning opportunity. I am re-posting some of those comments below. Most of the comments and confusion seems to center around biomechanics or my qualifications to make recommendations. Please keep in mind that while I use 3D motion capture to conduct a biomechanics assessment, my primary focus is the evaluation of the efficiency of Human Movement or Kinesiology. The more efficient the movement, the more evenly stress is distributed throughout the body. As for my experience, a degree in Kinesiology from Western State College of Colorado is the foundation for my methods of working with people. Over the years (18 years of experience working with thousands of “unique” athletes), I have been asked “my opinion” about athlete’s throwing motions, swings, running mechanics, etc.. While on occasion, I have offered my opinion, I prefer to provide my objective interpretation of data rather than offering my subjective opinion. When I offer an objective interpretation of data, it is much stronger than my opinion. It’s like asking me to read a tape measure to tell you how far a person traveled versus glancing at the distance and providing a guess. Earlier this year, an associate of mine who is a medical doctor informed me of a study at the University of California-Davis, which has invalidated the use of goniometers in evaluating joint range of motion. Medical practitioners (physicians, physician assistants, physical therapists, athletic trainers, chiropractors, and nurse practitioners) use a goniometer to document initial and subsequent range of motion in a joint to evaluate progress. The reason the study invalidated the use of goniometers is because it showed that practitioners rarely achieved the exact same measurement on the same subject as other practitioners. This means when that using a subjective tool like a goniometer, 10 out of 10 medical professionals will not measure your knee flexion at 90 degrees using the same goniometer. So your true progress may be in question. Consider the evaluations I perform on athletes as a way to document progress with more accuracy a repeatable methodology… A computerized goniometer that can measure joint range of motion while performing any activity, which is repeatable. This is unlike a goniometer which only allows for single joint measurement in a fixed position. In 2010, i was asked to give my opinion on the throwing mechanics of Mark Sanchez of the New York Jet’s. In a rare occasion, I did so on this blog and the story was retold in an article by the reporter on his BLOG. What I wrote was my opinion, no matter how accurate it may or may not have been. It was still just my opinion based on an evaluation of videos of Sanchez’s in game and practice throwing motions. My experience in comparing and reviewing data and watching human movement have given me an edge in evaluating the potential effects of injuries (known and unknown to the casual observer). With Greg and his teammates, I interpreted data. Basically, its like putting down a tape measure and asking 10 people to look at a certain spot on the ground and record the number on the tape measure at that spot indicating the distance from the starting point. The chances of all 10 people recording the same number are a lot higher than if you ask those same 10 people to guess at how far away from them the spot is from the starting point without using a tape measure. I am the person who prefers to use the tape measure to validate my opinion or what I thought I saw. Human movement, especially sports skills, happen way to fast for even the trained eye to see all that is happening, even if you know where to start your review. Depending upon how significant the abnormality in their motion, the more difficult the visual evaluation becomes to the observer. Manual evaluations are limited as well. Primarily, in a manual evaluation, the medical practitioner will palpate (feel around) the injured area feeling for abnormalities. The thorough examiner may also manually take the injured joint or area through passive range of motion testing. During both manual evaluations by “expert” medical professionals, time is spent asking the injured person how it feels when they “do this” or “do that” The injured area may be more or less painful to the person at that point in the position, invalidating the manual assessment. We’ve all been there, when asked how does it feel? “Feels fine now doc, is our typical response once the healing process has begun around the symptom. “I feel ready to go” is what we might say as the injured area has significantly healed. Then we get up and limp away. Where is the accuracy in this if it is the standard evaluation (which I too learned during athletic training classes at Western State)? Unfortunately, I experienced more of these evaluations due to my participation in sports than I would have wanted as an athlete. RESPONSE: zigsports April 16, 2012 That fairy you speak of came to visit me personally in 1997 as a part of my 8th knee surgery and delivered healthy cartilage to my knee which remains intact today nearly 15 years later (After suffering 2 two ACL reconstructions within 12 months and six surgical procedures to remove torn cartilage). A meniscus transplant is another option. However, if corrections are not made to the body to reduce the stress, that meniscus will be damaged as well. So be careful what you wish for my friend. We live in an age where science and medicine provide us with many options. point of Interest: Brandon may have done damage to the lining of the the bones in his knee which may make him ineligible for the procedure (only a surgeon can determine if he is eligible). However, if he is a candidate, he could play again as I previously stated. But if he does not address his body’s issues which cause him to place stress on the interior of the joint, that procedure may fail. COMMENT: In general do NBA teams embrace your work? Did you say it’s used in Phoenix? Specifically (because it’s a team I am a fan of), what response if any have you gotten from the Dallas Mavericks to this sort of physical evaluation of players? In general there is a fear that if we look closely at athletes true physical attributes under the microscope of motion capture, we may do more harm than good. As a result, the industry chooses to ignore it as a whole. Unfortunately, no, the Mavericks have not been significantly exposed to it. Teams who have been exposed include the New York Knicks (2008 draft pick Danillo Gallinari and a few other players were tested during the 2008 NBA Summer League. Interestingly enough, two days after we gave the results to the Knicks staff indicating excessive stress in Danillo’s back, he suffered a low back injury which affected him most of the 2008-2009 season. He has not been retested. Yao Ming is another athlete, I would love to evaluate. In my opinion, he too should still be playing professional basketball, but I have no idea the extent of damage to his feet and ankles. But I am pretty sure that it is related to imbalances and improper absorption of his body weight from left to right. COMMENT: What has Joel Przybilla done correctly to get back on the court? According to his report, Joel actually suffered an injury to the leg we identified as weaker. So his rehab actually forced him to strengthen the leg I indicated he needed to improve. Unfortunately, it was after the injury and subsequent surgery. As a result, he missed time on the court while doing what I suggested (inadvertently). As a result of that rehab, he has been able to come back and continue to play. In Greg’s case, his patella injury should be considered an overuse injury to his previously healthy leg. But the root cause of his knee problems are more than likely still present as he awaits being healthy enough to be operated on again. And unfortunately, if the causes are not addressed, another procedure is likely to be required to his knees, left Achilles tendon, or right hip at some point in the future. I also received a question about my mantra: 100% of all injuries and sports performances are affected by motion…either too much or not enough. Tej Sahota ‏ @boatical @ZigSports 100% of all injuries are related to motion is a bogus statement. non articulating bone injury? fractures? dislocations? RESPONSE: “NEW” Hi Tej, non-articulating joints, fractures and dislocations are conditions or injuries caused in the same way as any other injury. These conditions become present when caused by some activity which places stress on a part of the body causing function of the affected area to fail. Even a concussion (which is another condition) is related to motion. A concussion occurs when impact causes forces related to the impact unable to properly absorbed and distributed by the body (not just the head) causing movement inside the head whereby the brain itself is displaced impacting the inside of the head. This impact inside the head damages the brain and interrupts normal brain activity, possibly causing minor to severe bruising. Now this is not the medical definition of a concussion but its meant for the average person to be able to understand what I’m saying (sometimes we get too complicated). A football player can get hit in the chest by another player making a tackle. If the tackled player fails to absorb the force properly a concussion can occur as the head impacts the ground a greater amount of speed and force in a whipping action. The injury could have occurred in the neck, back, almost anywhere else in the body depending on the direction of the impact and how the energy traveled along the spine when combined with the persons strength and ability to resist the force. As energy from the impact is absorbed by the body it has to go somewhere. The better prepared the body, the better force is dissipated throughout the body. A fracture and non-articulating joint may be similar in cause but not exactly the same as a concussion. Both are caused by something else. In the cause of a non-articulating joint, it may also be caused an interruption of nerve function as well. As for a dislocation, this is an injury purely related to motion, strength, and flexibility. My first surgery was to repair a shoulder dislocation. As a freshman at Oklahoma State University on full athletic scholarship on the track and field team, I dislocated my shoulder playing intramural football. I fumbled a ball, reached out and grabbed it as others piled on, causing the injury. The shoulder dislocated 31 additional times from September 1987 until I finally had surgery in August of 1988 (I later transferred and graduated with a degree in Kinesiology from Western State College in Gunnison,Colorado). Today, my shoulder is strong because of the imbalances I’ve learned about and how they affect my body. Incidentally, the limited range of motion of my left shoulder contributed to a naturally shortened range of motion in my right leg while running. The two sides have to work together for me to be able to hurdle or run period. It is believed that an injured left shoulder can contribute to acute leg injures on the right leg. In addition, it may contribute to overuse injuries on the left leg and right low back. The body is connected! A toe injury can cause neck pain, not by the injury itself. The neck pain could be caused by the way we limp after the toe injury. Are we going to continue to treat the symptoms? Most importantly are we going to only evaluate the symptoms? I say NO! So the next time you’re at the doctor for back pain or some other muscle/joint related issue. Ask more questions. Want to keep up with the latest in sports and fitness injury prevention plus tips on how to reduce your own personal injury experiences? Follow me on twitter @zigsports! Where does the force go when it starts to build up in a joint? If the body does not redistribute the forces appropriately, an injury will occur. We can’t just keep cutting on athletes or anyone else for that matter. Every time an athlete undergoes a procedure to fix one problem, another issue is likely to pop up. This statement should be considered 100% true unless procedures are put in place during rehabilitation or prehab to address the actual, root cause of the problem. These new issues can lead to other injuries, which are termed “compensation injuries”, may be noticed during the rehab or upon return to sports participation. This should be done only by an athletic trainer, therapist or physician trained to look for such compensations, rather than guessing at the potential compensations. This is the key to return to sports activity. In addition to rehab of the injured area, protocols should now be put in place to address the compensation patterns the athlete will develop immediately following the injury and subsequent surgery. In some cases, the injury may be caused by contact. Such an injury typically may the easiest to recover from physically, but may require more to overcome the psychological trauma associated with the contact. However, non-contact injuries are usually an indication of an inability of the person suffering the injury to absorb the forces properly. This type of injury may be the most difficult to fully recover from as the contributing factors are lead by inefficiencies of the person’s body which may go undetected during rehab. To help gain a clear picture of what is being said here, we must understand a couple factors. There are several types of forces at play in any given activity. For this writing, we will just refer to them as : 1) action forces, which we’ll define as the forces which are imparted upon a body part (muscle, bone ,or joint). Action forces are trying to escape the muscle, joint or bone (segment) during motion in multiple movement planes and directions. The other force to be mindful of is 2) Reaction force, which is the force the the body exerts to attempt to control those forces trying to escape the body part (bone, muscle, or joint). The athlete’s muscles must exert reaction forces by activating the muscles of the body affected as the action forces are at work escaping the body. If the athlete’s muscles are unable to properly control and redirect the action and reaction forces, an injury occurs. In the case of an athlete who suffers a non-contact knee injury, the action forces absorbed by the knee were too powerful (or in some cases the forces moved too quickly) for the muscle to react and protect the joint. At this point injury occurs. Example: Forces imparted upon and exerted by the human body are much like the forces we feel in a car in going around a turn or when stopping. If we go too fast around a turn or don’t press on the brakes appropriately, the force may be too much for a driver to redirect the vehicle. A crash or failure to stop is likely to occur. Much like the driver of a car, an athlete must redirect the forces or injury will occur. The severity of the injury depends largely on the amount and type of forces and the person’s ability to react efficiently to control them. If the injury is to the ligaments of the knee, the muscles typically failed to respond in time or the force was too great to absorb efficiently. As a result, the ligaments of the joint were left to fend off those forces but failed. Ligaments are not capable of withstanding extreme forces and just like a rubber band will snap when stretched past their limits. In addition, this can cause a simultaneous injury inside the joint to the meniscus (cartilage). In some cases, the ligaments will stretch but not tear. In the case of an injury inside joint to the meniscus, but not the ligaments, the friction forces (linear or rotational) may have caused damage. This typically occurs when the ligaments themselves have more laxity or flexibility or the direction of the force was greater than the maximum flexibility of the ligaments in that direction. The human body is the greatest machine known to man. It is a great compensator for forces acting upon it and often, through human efforts (reaction), redirects the body to reduce the impact of forces. The body will always find a way to do the “task” we ask it to perform as long as the physical strength and flexibility required to perform the task is present. This means that if we ask the body to jump using both legs equally, the body will perform the task with weight distributed as evenly as the body is capable of while absorbing and disbursing the forces as the body sees fit (compensation). In a recent post, I discussed Greg Oden’s injuries and the results of my findings after conducting a 3D-biomechanics evaluation of his walking, running, squatting, and jumping motion. The data obtained when analyzed alone shows that Greg had developed significant compensations to address his body’s inability to absorb forces appropriately in both of his legs. Greg Oden can be the great player he once was in college and dominate professional basketball. This can be done with much less rehab than he has already undergone and possibly no further surgical procedures. (This decision for additional surgery is left to the athlete and experts in soft tissue repair and evaluation). It’s apparent by the history of multiple injuries suffered and surgical procedures, that Greg has muscles in certain areas of his body that fail to contract on time or possess enough strength to absorb and distribute the forces appropriately throughout his body. In kinesiology and biomechanics, first and foremost, we must evaluate the sequence of forces as they move through the body. In walking, running, and jumping, the first joint to store and release energy is the big toe on each foot. If an athlete is jumping using both legs, they must begin to squat which transfers vertical energy downward towards the ground (through the feet). Once that energy reaches the ground, it begins to release upwards along the same path on which it was delivered to the ground. If the path downward was flawed because of muscle imbalances, weaknesses, or neuropathy (disruption of the nerve signal), the muscles and joints are overloaded and an injury may occur. In the case of Greg Oden’s patella tendon related injury, the forces of gravity were attempting to return his 7 ft tall, 270 pound body to the ground during landing following a leap in the air. On the way to landing, Greg’s muscle imbalance is likely to have caused an overload of the muscles and joints along the way. This improper absorption of forces caused the injury. As a result of his own imbalances, Greg was a ticking time bomb. Once on the court, his patella injury would be considered a freak accident by the casual observer and fans. At which point, Greg may be labeled injury prone (due to his history of injuries) or God only knows what other names fans and the media would label him. However, because Greg has had years to develop the compensations for weaknesses related to previous injuries, it was destined to happen unless those weaknesses and imbalances were addressed. To diffuse the bomb, recovery efforts could take as little as 4 weeks to 12 weeks, putting Greg back in action provided no other surgeries are needed to repair damage already done to his body. However, if surgery is taken as an action to repair the damage and alleviate the pain or discomfort he is suffering without addressing the true weaknesses, the recovery period is guaranteed to be significantly longer. Non-contact injuries are an indication of the inability to properly act and react, causing a build up of forces incapable of being overcome with physical effort. The upward bound or shear forces will escape in any fraction of 360 degrees (in all directions) of motion surrounding each body segment (bone and muscles) and joint the forces must pass through. Most of us agree that an epidemic exists in our country with respect to the growing problem of childhood and adult obesity, however, another epidemic is at work as well. The epidemic I speak of us is the growth of injuries in sports: both chronic and acute. Despite the existence of fitness training, sports performance, and sports rehab facilities popping up faster than fast food franchises, injuries are still growing, and most are repetitive injuries. 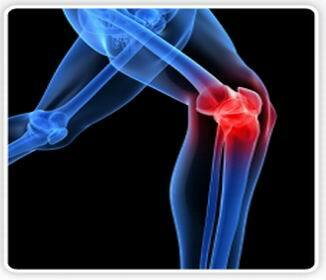 Chronic injuries occur because we are so quick to dismiss our health related issues. If our car starts to make noises or smell funny, we take it into the mechanic. If we wait too long, the problem gets worse and other problems surface. When it comes to our body, we are very quick to ignore the signs and symptoms which enables the problem to worsen. In ignoring the problem, we typically shift the stress to other parts of our body until we can no longer get around it. I was fortunate enough to conduct the entire rehab program for a 14 year- old high school female basketball player who suffered bi-lateral (right and left knee) ACL injuries within 9 months of each other. I started her rehab following her second ACL tear. 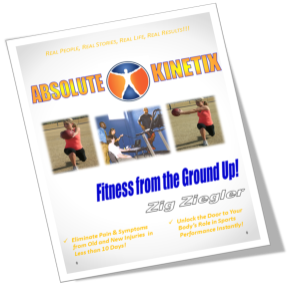 That athlete and many others were able to avoid future injuries because we addressed the muscle imbalances and root causes of the injuries. The most neglected part of her prior rehab was rotational instability above and below the joint. At the moment, rotational instability following knee surgery is not address at all in rehab. But in reality, rotational instability must be addressed early in rehab along with more emphasis placed on the strength and proprioception of her lower leg and feet (not just the quadriceps and hamstrings muscles). That 14 year-old girl is now a two months shy of her 18th birthday and just completed her senior season of high school basketball with no further occurrence of injury in any part of her body. While the level of play is not the same as professional sports, the demands on the body of a high school athlete are relative to their physical development, as are the demands of a professional athlete. (This is just one example.). It’s time for a new standard of care for taking care of our bodies. All of those who work with athletes and everyday people should work to obtain objective measurements and strive for physical balance and symmetry. In “data” we trust not “speculation and guesswork”. Every fitness trainer, coach, or physical therapist should rely on their eyes first and then call upon experience second to evaluate what they saw. We must apply the principles of human movement to rehab focusing on how the body performs the exercise not just the completion of the exercise. At this point, we should implement customized rehab programs based on the athlete instead of current protocols which are based solely on recovering from the surgical procedure or the injury. Everyone has an opinion but we need to eliminate the guesswork. As an industry, all professional who work with people in sports performance, rehab, and medicine need check our opinions at the door and do what’s best for the athlete rather than trying to keep our our jobs. “Do no harm” is the first objective. However, harm is done unintentionally to the athlete if standardized protocols for rehab continue to be the standard of care for injuries. There are a lot of experts who may disagree with my posts and I welcome their feedback. I will gladly post any rebuttal or response to any post on this blog provided they are done in a tasteful and respectful manner. I reserve the right to reject comments and posts that contain profanity, are personal attacks, or lack foundation. All opinions are welcome just remember that youth athletes, parents, and others view my blogs. So I welcome and encourage respectful debate and comment.